I have sometimes toyed with the idea – especially now that my granddaughter is growing up there – of writing a book on William Morris in Cambridge as a counterpart to my William Morris in Oxford: The Campaigning Years, 1879-1895 (Illuminati Books, 2007). 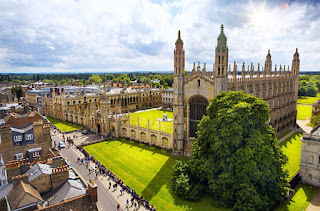 What has stopped me so far, I suppose, is a sense of disproportion in the materials across the two universities: Cambridge did not have the deep emotional resonance for Morris that Oxford so abundantly did, and in his later, campaigning years he only spoke there twice as opposed to seven times amidst the Arnoldian dreaming spires. Yes indeed: where are the snows – or in this case, revolutionary undergraduates – of yesteryear? Would it be possible for the assiduous researcher to track down the names of Morris and Hyndman’s 37 youthful supporters that day, and then to follow through their subsequent careers to see to what extent the rest of their lives embodied (or not) the progressive politics they had displayed on that memorable occasion? So whether there is or isn’t a full book’s worth to be written on ‘Morris in Cambridge’, there are still plenty of local tasks left to carry through under that suggestive rubric. Tony, why not write up the story of those 37 radical students (as you have often recommended in this blog) in creative writing mode rather than in standard scholarly terms? Raymond Williams in ‘Politics and Letters’ talks about wanting to write a novel following through the careers of a group of six radical Oxford students of the 1950s, so how about a much more complex, much more multi-voiced version of that kind of novel following the subsequent trajectories of all 37 Cambridge youngsters who backed Morris and Hyndman that day? Thanks for the intriguing suggestion, and it's true that I have rather let the creative writing emphasis of this blog lapse for a while - so you nicely revive it for me! But, turning up my copy of 'Politics and Letters', I note that Williams remarks about his idea for a novel on the Oxford group that "I then found the familar problem that if I was to pursue this project with enough people, the result would be an impossibly long novel" (p.285). If that was true with his half dozen or so characters, how would it work out with thirty-seven different figures to pursue? !